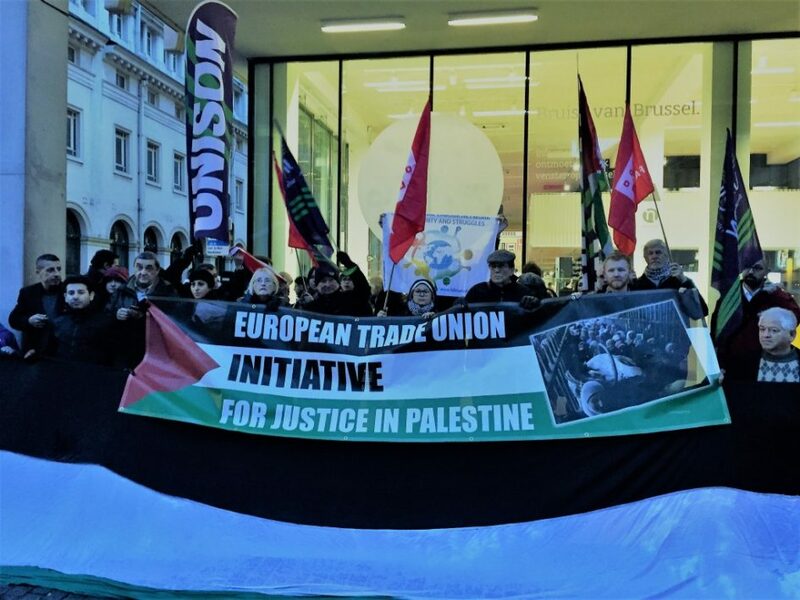 We are inviting European trade unions to send their delegates to participate at the Second Trade Union Seminar – Justice for Palestine! Ending European complicity in Israel’s violations of Palestinian workers’ rights that will take place in BARCELONA on the 18th and 19th of MAY 2018.
discuss and share ways in which trade unions are effectively campaigning to pressure the European Union, governments, institutions and businesses to end their support for Israeli violations of workers’ rights, human rights and international law. explore possibilities for coordination and joint work between trade unions and trade union activists across Europe. You can read the seminar program here in EN, ES, CA and FR To register please fill in this form. To find our more about our previous seminar read our reports in EN and FR.To watch our short video click here. For more information: etu.palestine@gmail.com.